Actor Hrithik Roshan’s last release ‘Mohenjo Daro’ was a box office disaster and seems makers of his upcoming movie ‘Kaabil’ don’t want to meet a similar fate. 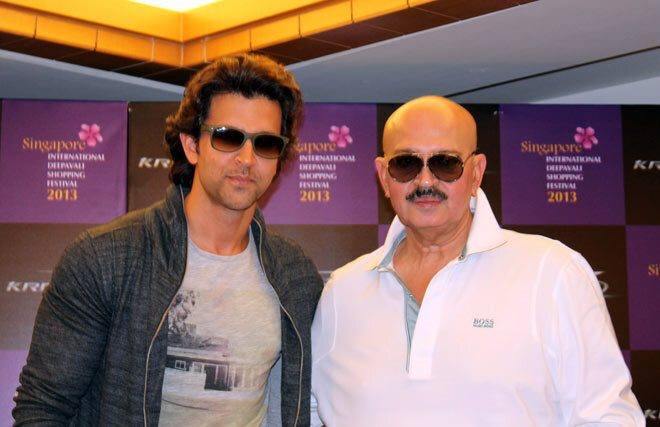 Maybe that’s why Hrithik’s father Rakesh Roshan, who is the producer of the movie, has devised a plan. While speaking to a leading entertainment portal, Rakesh said that Hrithik’s ‘Kaabil’ is a sure shot hit. He said that he has sold the all-India distribution rights of the film for merely Rs 50 crore. This is almost half the amount for Hrtihik’s movies. Roshan Senior added that this a safe bet and even if the movie earns Rs 100 crore, it will be a box-office hit. “My all-India sale is not more than Rs 50 crore. So even if my film does Rs 100 crore, everyone stands to not lose money,” Rakesh was quoted by a leading daily. ‘Kaabil’ has been shot in Mumbai, making it not a high-budget movie. The theatrical trailer of this Sanjay Gupta directorial will release on October 26. The teaser of the same was released yesterday which piqued many interests. The teaser was full of feeling of eeriness. It just had faded lights and an intriguing voiceover by Hrithik. In the movie, Hrithik plays a blind man. The movie has him paired opposite actress Yami Gautam and will release on 26th January, 2017.